If you would like to start eating healthier but do not have time to cook, meal delivery services may be the perfect solution to your problem! 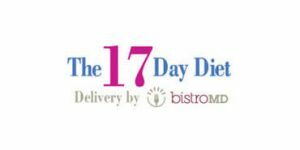 Check out or objective 17 Day Diet Delivery VS Fresh n' Lean comparison to get a better idea of what these two services offer and determine which one is the right choice for you and your family. Fresh N’ Lean is an organic meal delivery that offers freshly prepared dishes for every meal of the day, all available at great prices, with free shipping. Fresh n' Lean provides its patrons with 2 options to choose from, including meal plans and a la carte ordering. There are 4 meal plans available. Fresh n' Lean has around 50 items on its A La Carte menu. With each meal plan, you can get anywhere between 1 and 3 meals per day for 5 or 7 days a week. Fresh N’ Lean’s rich offer includes senior-friendly, vegan, vegetarian-friendly, Paleo, low-carb, and low-fat meals that are always free from gluten, low in sodium, and organic. Its meals are also suitable for weight loss. The service offers breakfasts, lunches, dinners, and snacks. Fresh N Lean uses the finest-quality ingredients. All of its meals are made of natural, organic, mostly plant-based ingredients, carefully sourced and perfectly fresh. Fresh N’ Lean meals usually contain between 150 and 400 calories per serving. They are nutritionally balanced, with just the right quantities of protein, carbs, and healthy fats. The portions may be a bit small for people with a hearty appetite. With Fresh n’ Lean, you can make changes to your order anytime. If you would like to edit or suspend your subscription, notify the company by Monday 12:00pm PST. Keep in mind, however, that you must contact the company by phone for any changes to your order. Fresh n' Lean doesn't offer any refunds. Very happy with this service. It’s just my wife and myself. I’m a professional and work. Rather than spending hours shopping and preparing meals, we usually went out for our evening meal, that due to a lack of restaurant choices, left a lot to be desired. We did subscribe to freshnlean meal service. We chose 14 meals per wk.,7 standard plant based dinners and 7 low carb low cal dinners. We mic each, split each, and they’re great. The cost, vs going out is a push. Perfect for our situation. Shipping is included in their pricing. Been with them for 6 wks. Found their customer service folks to be helpful and honest. Received a 10% discount on all subsequent orders at time of subscription. 5 star rating! I’m very disappointed in the customer service. Being in the food industry I know how customer service is important. Also if you are looking for low carb meals don’t go here because they are loaded with beans and potatoes. I don’t know how the food taste because I couldn’t eat any of it. The food I ordered was too spicy. They should say so in their menu.All the 5 dishes tasted pretty similar, with a yellow color over all of them.They sent me a second order without me ordering it. When I received an email telling the order was sent I called them but they didn't refund the $87.You don't see about any future automatic orders when you fill the orders, You click on "View your Plans" and you click in your plan selection and select lunch/5 days, You click on "Add to Cart", and shows the price $87 and in smaller letters, yes, in smaller fonts, it reads "meal plans are charged weekly".Then you go a page to fill your information and at the button of the page is a place to click for Terms and Conditions.That is not honesty. They should say clearly that when you order for one week that you will charged for future weeks with no warning or notification that you will be charged. I am on my second week of the IONutrition and I think I'll need to throw some of these meals out. At first they are quite good, however, there is a unique flavor in all the dishes that, after a few days, makes you feel like you are eating the same meal over and over. I just can't face another one. If you don't mind eating the same flavored meal three times a day, then Lean n' Fresh is for you. I was trying to eat healthy while still being the lazy sack I am, but that hasn't paid off for me...yet. I will keep looking. Also, I have not doubt that the meals are healthy and the portions are quite big - but at $13+ per meal, that's pretty expensive.